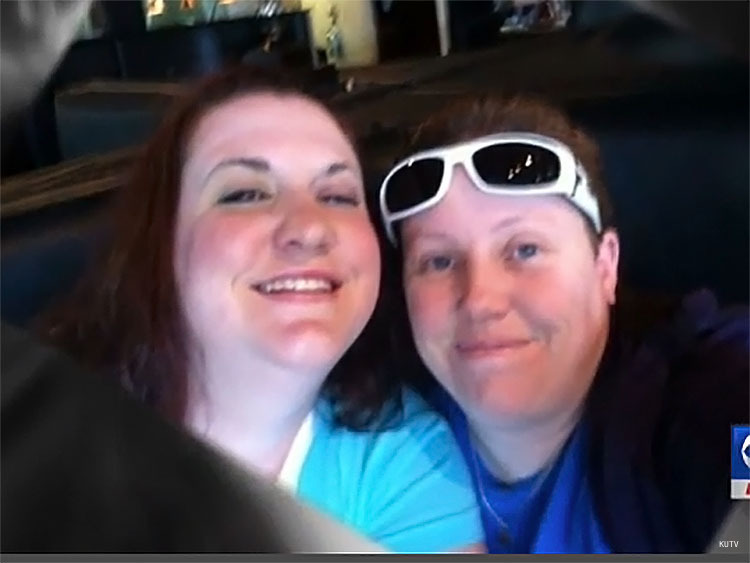 A lesbian couple has been ordered to surrender their foster child after a judge decided the baby would be better off being raised by heterosexuals. April Hoagland and Beckie Peirce of Carbon County, Utah, were stunned when Judge Scott Johansen ordered their foster child removed from their home. The judge said the baby would be better off with heterosexual parents. That decision has been met with outrage from LGBT advocates and even Democratic presidential candidate Hillary Clinton. The couple, who legally wed in October 2014, have taken care of the 1-year-old girl for three months, and her birth mother has asked them to adopt the child. The Utah Division of Child and Family Services has been forced to find new housing for the child, but officials say they will appeal the judge's decision. "We love her and she loves us, and we haven't done anything wrong," Peirce told the Salt Lake Tribune. "And the law, as I understand it, reads that any legally married couple can foster and adopt." Attorneys for DCFS are currently reviewing the decision. "If we feel like [Johansen's] decision is not best for the child, and we have a recourse to appeal or change it, we're going to do that," DCFS director Brent Platt said. "For us, it's what's best for the child." "Any loving couple if they are legally married, and meet the requirements, we want them to be involved," he added. The child's state-appointed attorney supports the couple. The birth mother's lawyer, who was in court with the couple when the decision was handed down, has said the mother is upset and wants her baby to stay with the women. Judge Johansen, who the Tribune reported has repeatedly been reprimanded by the Utah Judicial Conduct Commission for "demeaning the judicial office," claimed to have research proving children are better off when raised by heterosexual parents. In reality, all credible major studies show that a parent's sexual orientation has no effect on a child's social development and mental health. Presidential candidate Hillary Clinton also joined the chorus of condemnation following the judge's decision. "Being a good parent has nothing to do with sexual orientation — thousands of families prove that," she tweeted, sharing a link to a local news story about the case.